12hrs after setting up, we’ve had our 1st EVER sale on ETSY!! 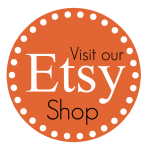 Next PostNext Our 1st sale on ETSY! – only 12hrs after setting up the shop! !